A new study proposes that various cells can be modified to take a place of an insulin producing cell to help control sugar levels. Researchers from University of Lincoln, UK report coaxing human pancreatic cells that don’t normally make insulin (a hormone that regulates the amount of glucose in the blood), to change their identity and begin producing the hormone. When implanted in mice, these reprogrammed cells relieved symptoms of diabetes, raising the opportunity that the method could one day be used as a treatment in people. It is known that beta cells normally respond by releasing insulin when blood sugar levels rise after eating, which in turn stimulates to start absorbing sugars. In people with diabetes, this system breaks down, leading to high blood sugar levels that can harm the body and cause illness. In type 1 diabetes, the immune system attacks and destroys β-cells; in type 2, the β-cells do not produce enough of the hormone, or the body becomes resistant to insulin. Scientists have previously revealed in mouse studies that if β-cells are destroyed, alternative type of pancreatic cell, called α-cells become more β-like and start making insulin. These α-cells normally yield the hormone glucagon which are originate together with β-cells in clumps of hormone-secreting cells called pancreatic islets or islets of Langerhans. Preceding studies showed that two proteins that control gene expression seemed to have an important role in coaxing α-cells to produce insulin in mice: Pdx1 and MafA. At the same time as researchers from University of Lincoln, researchers from Pedro Herrera group at University of Geneva, wondered whether producing more of these proteins in human α-cells would have a similar result. They first took islet cells from human pancreases, and separated out the individual cell types which were then introduced DNA that encoded Pdx1 and MafA proteins into the α-cells, before clumping them back together. After one week in culture, almost 40% of the human α-cells were producing insulin, while control cells that hadn’t been reprogrammed were not. The reprogrammed cells showed an increase in the expression of other genes related to β-cells, which were then implanted into diabetic mice, which had their β-cells destroyed and found that blood-sugar levels went down to normal levels. When the cell grafts were removed, the mice’s blood sugar shot back up. Results of the experiment show that if α-cells or other kinds of islet cells could be made to start producing insulin in this way in diabetes patients’ quality of life will improve. According to Herrera before drawing conclusions about the efficacy of their approach, they will need to test the hybrid cells with other antibodies present in type-1 diabetes that could potentially attack those cells. But the research demonstrates that there is a lot of plasticity in the hormonal system of the human pancreas. DUBLIN – Sept. 28, 2016 – Medtronic plc (NYSE:MDT), the global leader in medical technology, today announced it has received U.S. Food and Drug Administration (FDA) approval of its MiniMed® 670G system – the first Hybrid Closed Loop insulin delivery system approved anywhere in the world. Featuring the company’s most advanced algorithm – SmartGuard(TM) HCL – the system is the latest innovation in Medtronic’s phased approach toward developing a fully automated, closed loop system. Medtronic is committed to simplifying and improving diabetes management through the advancement of smart algorithms that achieve greater glucose control with reduced patient input. Through SmartGuard HCL, the system builds on Medtronic’s industry leading algorithms to offer therapy customization so patients and providers can choose from increasing levels of automation that best fit their diabetes management needs. The MiniMed 670G system features the Guardian® Sensor, Medtronic’s newest and most advanced glucose sensor with enhanced accuracy and performance, and a longer 7-day life. The Guardian Sensor, the first and only sensor approved by the FDA to control a hybrid closed loop system, incorporates diagnostic technology that continuously monitors sensor health. Driven by the SmartGuard HCL, the system delivers a variable rate of insulin 24 hours a day based on the personalized needs of the patient, maximizing the time glucose levels are within the target range. It is designed to learn what an individual’s insulin needs are and to take action to minimize both high and low glucose levels. As a result, the system requires minimal input – patients only need to enter mealtime carbohydrates, accept bolus correction recommendations, and periodically calibrate the sensor. The system is approved for the treatment of people with type 1 diabetes fourteen years of age and older with ongoing studies to expand the indication to additional patient populations. Medtronic will begin commercial release of the MiniMed 670G system in the spring of 2017 with system availability increasing over time. This timeline ensures payer coverage, market and manufacturing readiness, as well as appropriate training of employees, clinicians, educators and patients on the new system. As the company moves toward initial commercial release and subsequently to full production, users of the MiniMed 630G system will be eligible for a Priority Access Program to the MiniMed 670G system as their experience with our newest hardware platform will facilitate an optimal transition. Regulatory approval of the MiniMed 670G is expected outside of the U.S. in the summer of 2017. 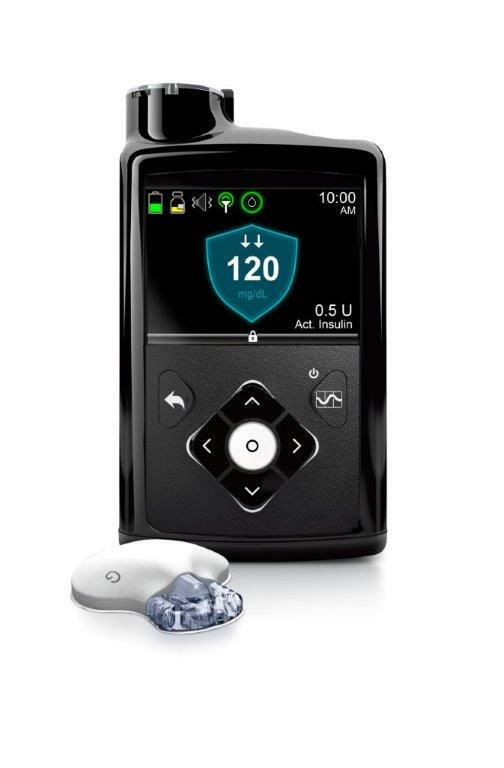 More details can be found athttp://www.medtronicdiabetes.com/products/priority-access.